* 9 Flute Masterclasses, including classes with ﻿William Bennett,﻿ Lorna McGhee and Gwen Klassen. 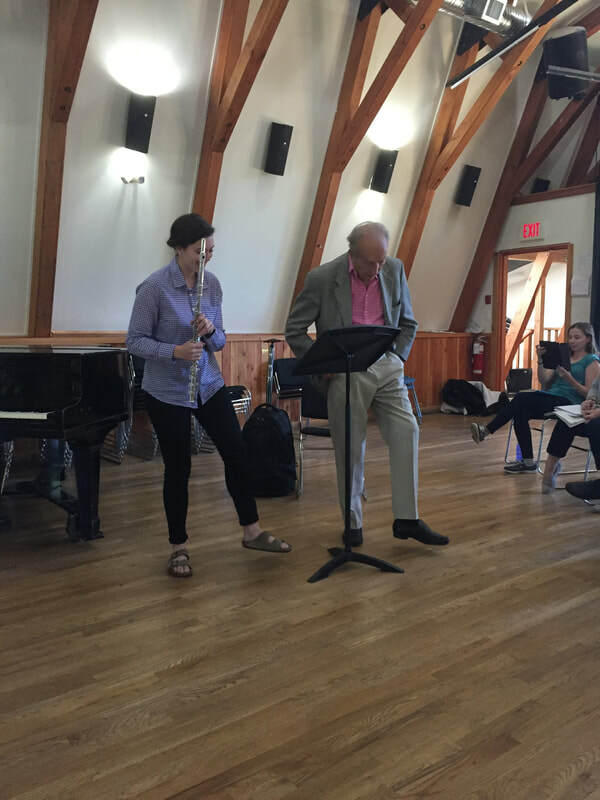 * PIFR flute Artistry fundamentals and piccolo love classes with Gwen Klassen. * Participate in end of retreat "skit night"
* integrating creative, circular right brain with linear left...through breath, movement and stillness. Musician Wellness & Leadership Workshops with Gwen Know yourself, your role, the team. * 5 workshops with Gwen Building Mental Skills, Expanding Emotional Intelligence, while listening to Creative Intuition. Exploring relationship to music, self and others with compassion and excellence. * explore what is yours and what isn't (process of wise discernment). * connect to the audience, colleagues, students, teachers. * 30 minute private lesson with Lorna.